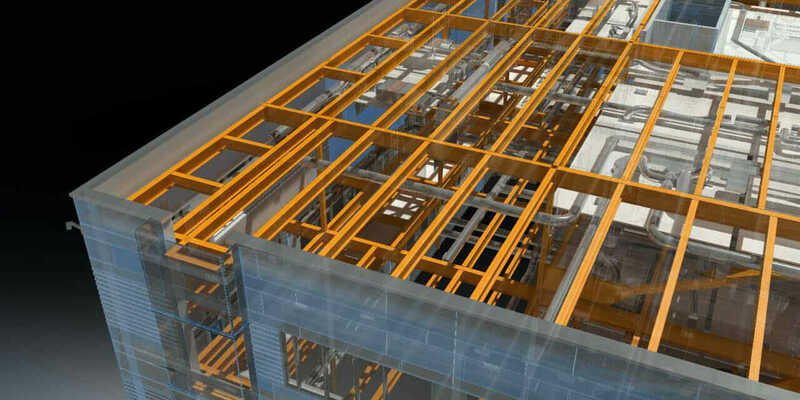 When it comes to using BIM for existing buildings, the question often is not simply “what can you model?” but “what should you model?” The answer may vary by discipline. The absolute minimum model requirements for an existing building project are the new elements being added. The rest of the existing conditions can be shown in the background, either in the form of 2D CAD files from a prior project or as underlays of architectural information from the current model. Rendering of London Blackfriars station redevelopment. Courtesy Network Rail and Jacobs. How True Is Your Model? 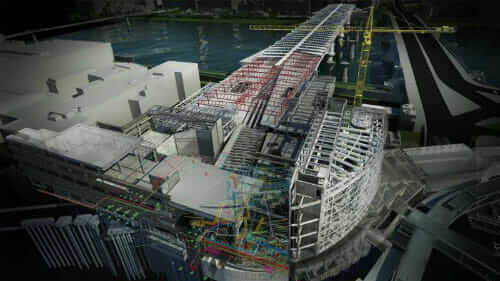 Implementing BIM for an existing building always comes with some level of uncertainty. How much uncertainty depends on what kind of existing documentation you have, and your level of confidence in it. Next are elements that have been identified with non-destructive evaluation. This could include x-rays, ground-penetrating radar, etc. The data gained from these methods are somewhat less precise than field measurements, with the level of uncertainty varying based on the method used and the type of information desired. Each element in the existing model, as it’s placed, is tagged with one of these three categories. If additional information is gained later, the category can be updated. But in the meantime, it helps determine how “real” the element is if you know what kind of information it’s based on. This approach requires a lot of data management—more than you may be used to on new construction projects. But it will pay off when you can tell just by selecting a beam or wall how good the information was that put it there. 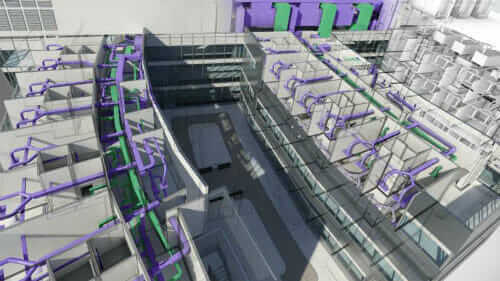 Using BIM for an existing building also can add more questions to the conversations about coordination. If only the architect is modeling the existing walls, how will they work in the structural model? Are there settings the architect can use that will allow the walls’ graphic display to meet everybody’s in-house standards, or will somebody have to adjust? If you know that a floor is framed with 12-inch-deep beams, but you don’t know their exact location, how will you handle that? Is it enough to model a basic floor element, or does the mechanical engineer need to have individual elements laid out for clash detection? Another wrinkle that can appear is how to deal with prior modifications. Let’s say a building was originally constructed in 1960, renovated in 1980, and is now being redone again. The 1980 project probably involved some demolition. Will you model each element as it was created and demolished, or is it enough to document the current conditions? The choice you make will likely be based on a combination of factors, including availability of existing documentation and intended end use of the model. The better the documentation and the more involved the end use, the more likely it is that it will be a worthwhile effort to track previous construction phases. At times, it can seem that dealing with existing buildings generates more questions than answers—and this article is no exception. But by asking the right questions, you can find the right answers for your project and leverage the power of BIM for buildings new and old.